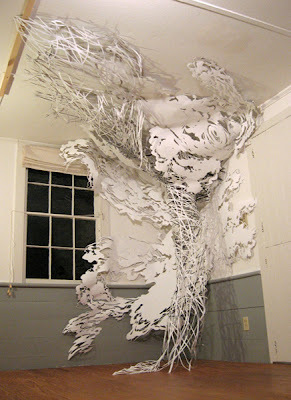 the stunning things that artists do with paper. zoe jay veness, a sydney gal i know through teaching exploits, has been folding paper into exquisite jewellery for years. these are some of her latest pieces done for an exhibition in adelaide. melbourne artist emma van leest snips beautifully intricate and ornate paper scenes. 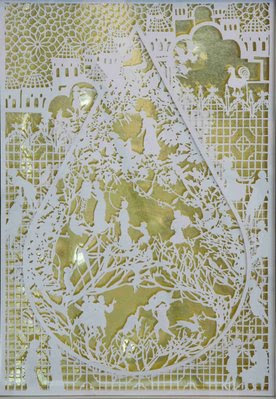 the utterly spectacular cut paper sculptures from US artist mia pearlman defy belief. really worth checking out her website. boys cut paper too. 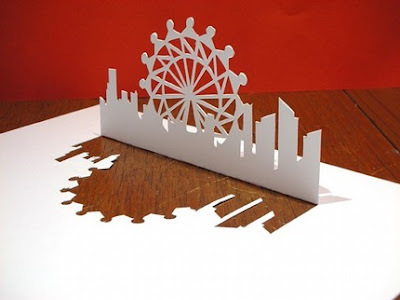 i recently came upon a brisbane architect student who makes pop-up paper skylines of various cities around the world. I love these paper cuts. Thanks for sharing them. By the way, I've left a special award for you on my blog. Drop by and pick it up any time. love the paper work on your blog. it's sooooooo talented and gorgeous.